Greek Citizen Protection Minister Nikos Toskas urged farmers not to block the cross-border roads because there will be repercussions on an economy that is trying to stand on its feet, in an interview to Saturday newspaper Agora. “They should not close the crossing to Bulgaria or other countries because afterwards the country will have to pay huge compensations and trade would be disturbed. The mobilisations are accepted with borders open” he said. 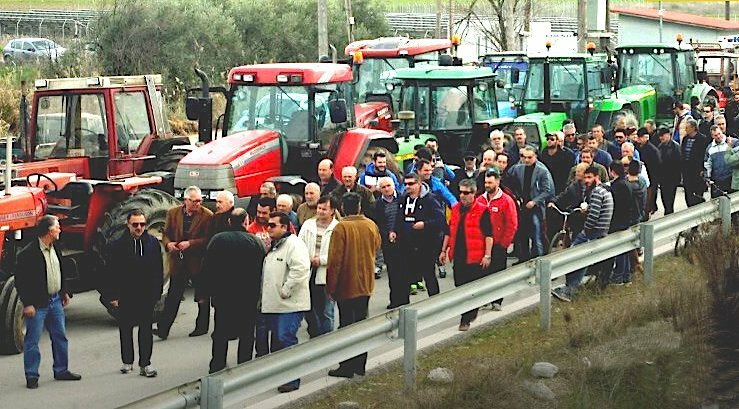 Farmers continue to block roadways with their tractors on the Thessaloniki-Serres motorway Lefkonas, from 12:00 noon onward. Farmers from Thessaly closed the Athens-Thessaloniki motorway at Nikea interchange from 16:00 to 18:00.